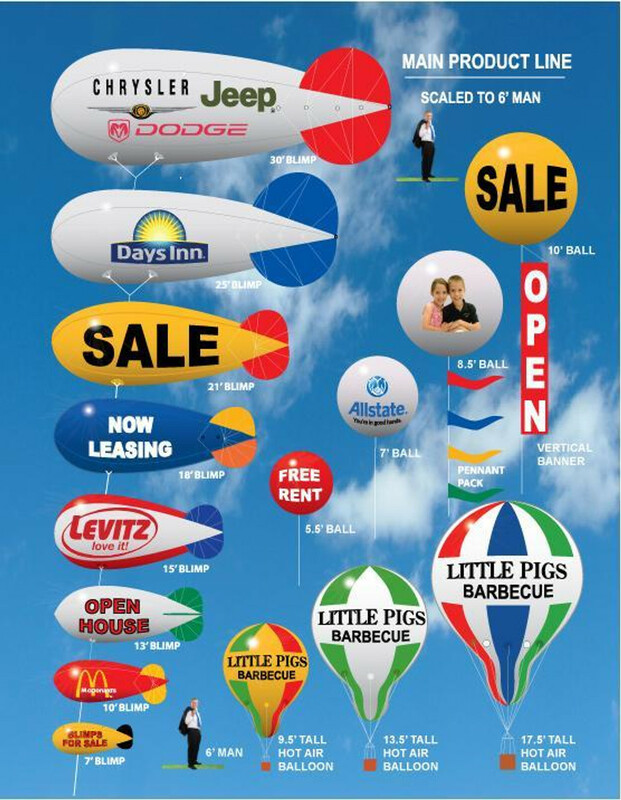 Advertising blimps and helium advertising balloons are ideal for outdoor advertising, grand openings, trade shows, marketing displays, promotional exhibits and any event requiring height visibilityfor indoor or outdoor attention. Our high-flying products are backed by decades of design innovations. All of our promotional blimps and promotional balloons are designed to be light weight, durable and easy to fly (with a 135' tether line). We are especially proud of our line of high performance helium blimps. Helium required to fly our products can be supplied by your local welding supply company. It is important to note that all of our products are made of material which has been specially formulated for strength and helium holding qualities and is excellent for the application of lettering and artwork with vinyl, paint or digital printing.